Audi is aiming the A1 at young buyers. MUNICH – With its new A1 compact hatchback, Audi has created a stylish, fuel-efficient premium car with a more modern look than BMW's retro-styled Mini at a price comparable to its main rival. When it goes on sale in Europe in May the A1's starting price will be 16,000 euros ($22,000), which is below the 16,600-euro starting price in Germany for a Mini One with a comparable engine. The A1 will be offered with two gasoline and two diesel engines, all with fuel-saving stop-start technology and brake energy regeneration. The most fuel-efficient A1 is powered by a 90-hp, 1.6 diesel engine used in the Volkswagen Golf. The engine has CO2 emissions of 99 grams per kilometer and uses 3.8 liters of fuel per 100km (61.9 mpg in the United States). The base gasoline engine, a newly developed 86-hp,1.2-liter unit, will have CO2 emissions of 119g/km and use 5.1 liters of fuel per 100km. The comparable Mini One has a 98-hp, 1.6-liter gasoline engine that emits 127g/km and fuel economy of 5.4 liters per 100km. The A1 will debut at the Geneva auto show next month. It's based on the same platform as the Volkswagen Polo and will be built in Audi's factory in Brussels, Belgium. 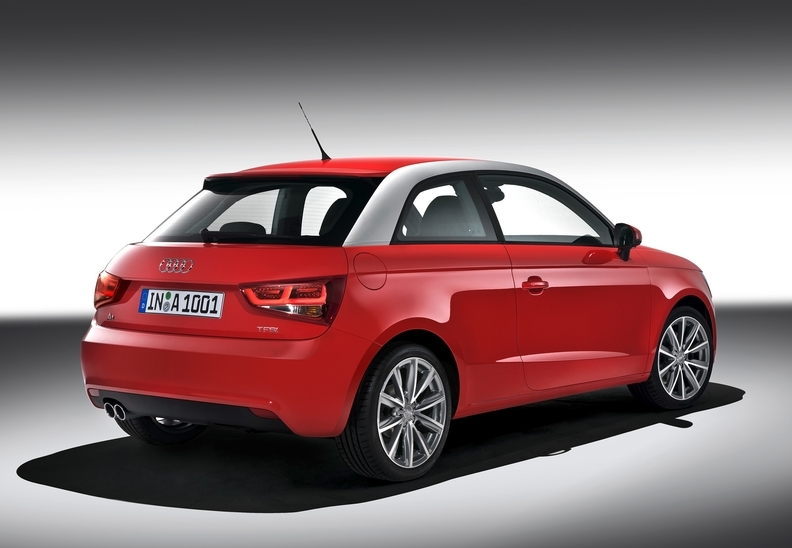 The A1 will initially go on sale as a three-door hatchback with a five-door scheduled to join the lineup in 2011. The car is part of the German premium brand's plan to overtake rivals BMW and Mercedes-Benz and become the No. 1 global premium brand. By adding models such as the A1 and the upcoming A7 four-door coupe, Audi aims to boost unit sales to 1.5 million in 2015 from 949,700 in 2009. A1 buyers can order the roof arch trim in contrasting colors. Audi wants to sell 80,000 A1s a year and is aiming the model at young, upwardly mobile urbanites. The automaker hopes to attract buyers age 25 to 35 who prefer the A1's modern styling to Mini's retro design. 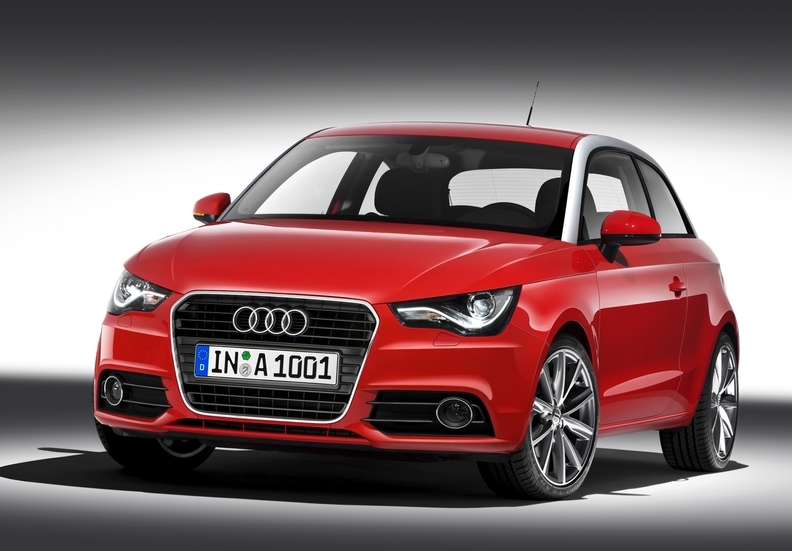 To appeal to young buyers, Audi has also made the A1 easy to customize. One feature is a roof arch trim that can be ordered in contrasting colors. The A1 likely will only be offered in Europe for the time being. Johan de Nysschen, Audi of America's president, told Automotive News last October that the next-generation A1 could be sold in the United States, but that will be about eight years from now.